Yes, the French Kiss collection is essentially themed towards Valentine's Day, however it is far from restricted to just February 14. With the addition of turquoise, navy and lime to the traditional red, white and pink the colors allow you to stretch beyond the theme of love. And more notably, icons perfect for French holidays, or holidays in general, engagements, birthdays and pets too! 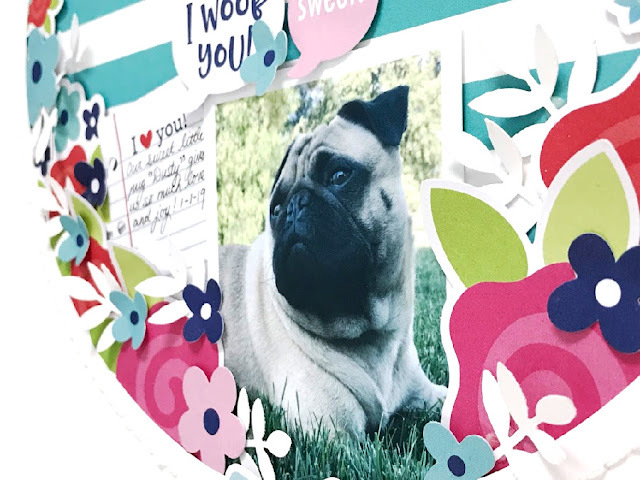 And seeing as we have a little Pug in our family I couldn't go past creating a page just for him. I decided I wanted to create a circular centrepiece to my layout, however it looked a little bare around the outside so I added two different patterned papers to create a vertical border either side before adding in all the Odds & Ends pieces to create the little scene I was working towards. The photo of our little Pug 'Dusty' was the first thing I placed into the circle and then built everything around it. I used foam pop dots to create dimension so pieces would overlap. I also hand punched white leaves to pop in between the colorful die-cuts just to soften the overall look. Finally I hand stitched around the circle and added one of the sweet Odds & Ends die-cut bows to the bottom of the stitching. Love the circle!! Fabulous! And Dusty of course!!!! Beautiful layering and you've show how versatile the collection really is. Gorgeous layout Melinda!!! Am loving that pug!!! I'm headed to Paris this summer and this would be wonderful much less to use with my adorable pooch too!!! Thanks for the inspiration!! How cute is your doggie Dusty? This layout is stunning!!! The circle focal point is genius, I would have never thought of this. 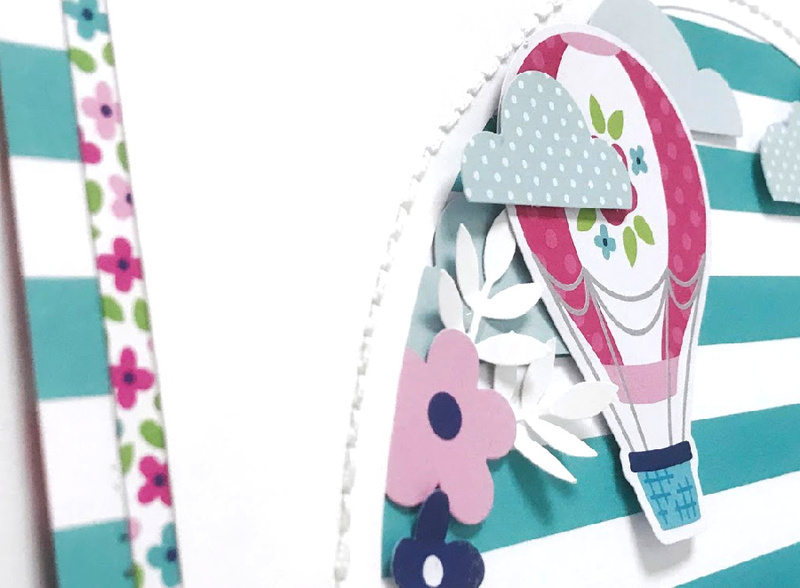 The new French Kiss Collection is so much fun and versatile! Yes, it’s perfect for v-day but certainly not limited just to one holiday. I would love to make a project for my aunt who is obsessed with Paris! I can imagine a beautiful mini album filled with all her adventures there. So many uses for this collection. Love it! Thanks so much Melinda for sharing this with us.